Last month, Riot Games released a new KPOP-themed skin line for League of Legends. Featuring Akali, Kai’Sa, Ahri, and Evelynn, the studio’s brand-new girl band became something of a phenomenon, amassing more than 100 million views on Youtube in just 30 days. With that kind of a reception, it’s no surprise that the fan tributes began to pour in. 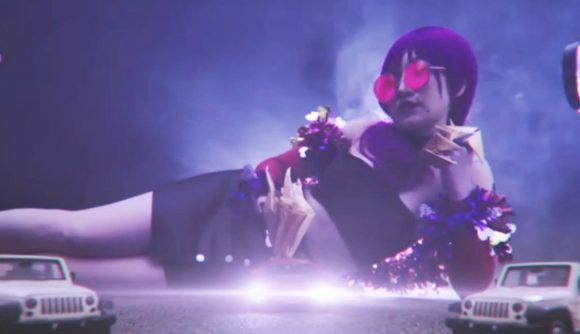 But while cosplayers from around the world have been recreating the K/DA stars, not everyone has the time, resources, and money necessary to create realistic reinterpretations. Which is why a group of Chinese fans have attempted to recreate the video on a meager budget of just $70 (500 yuan). The video was first posted to Chinese video sharing website Bilibili yesterday, before making its way to Reddit (a quick PSA – you can turn off the barrage of text via the little blue slider at the bottom of the video). Given the minimal budget, glaring casting issues, and apparent police presence, I’m pretty sure what they’ve come up with is something of a masterpiece. You can check out the video in more detail below. Sadly, it doesn’t cover the original in its entirety, but it’s a valiant attempt at a shot-for-shot remake, and there are some great out-takes in its second half. In this particular situation, it would be wrong of me not to link you to the original as well. Not only is it important to help you get an idea of how faithful the budget version is, it’s also a little bit of a bop, and I’m not ashamed to say I’ve listened to it a lot recently. The new League of Legends season kicks off very soon – patch 9.1 is on the PBE now, so you should be able to start climbing the ranked ladder again soon.